Everyone has that friend—she’s always going for a run, hitting the gym, or gearing up for her yoga class. She likes prepped meals, juices, and she shows up to ever event in her active wear. She’s an athlete! Exercise is what she does. She may seem like she’s on the cutting edge of all things fitness, but the equipment gets expensive. For her next birthday, bring her one of these gifts to put a smile on her face. 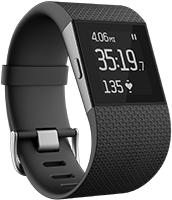 The Fitbit is revolutionary to the world of physical fitness. This device has motivated thousands of people to improve their health and become more active. Unlike other devices, the Fitbit is more than just a simple pedometer. It’s designed to track your daily activity, exercise, calorie intake, sleep, weight and more. With the use of a Fitbit, she can keep track of her daily activity and make adjustments accordingly to suit her goals. There are currently nine models that come in the form of clips, bands and watches. Get her a Fitbit with a customized strap to express her unique style. Everyone likes to listen to tunes when they workout. Gone are the days when you had to rely on whatever the gym was playing to motivate you on the treadmill. Surprise her with a one-year subscription to Spotify to keep her inspired. With a Spotify subscription, she can create her own playlists for warm-ups, cool-downs, running, weight lifting, yoga and more. 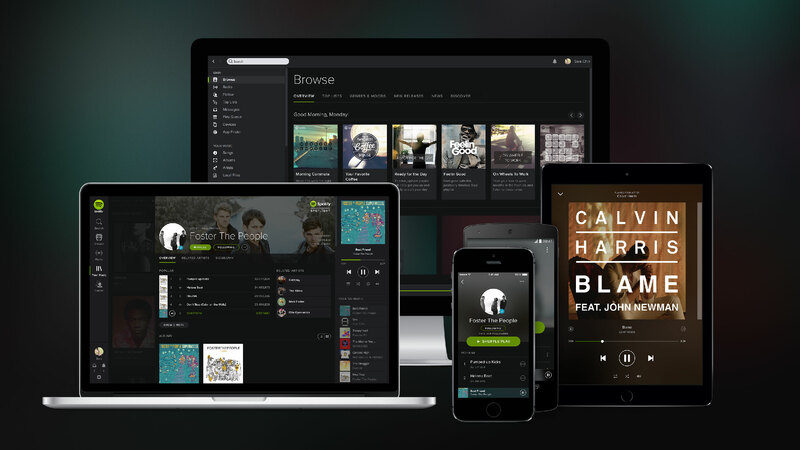 She can also choose to listen to a pre-made playlist by other users or listen to Spotify radio to find similar artists that match her taste. Give her some brand new Beats by Dre ear buds. The Hydro Flask features the latest in water bottle technology. 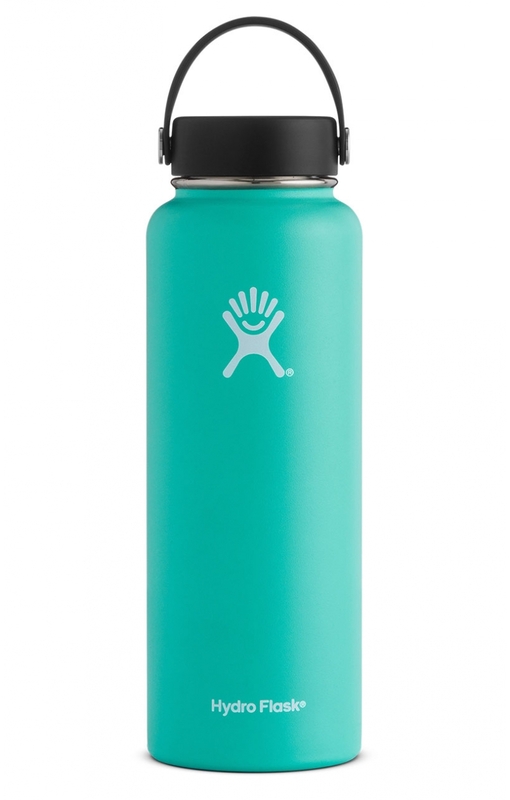 The bottle is made of insulated stainless steel and comes in over a dozen colors. This water bottle is made with double-wall vacuum insulated TempShield technology to keep liquid hot up to 6 hours and cold up to 24 hours. It features a slip-free coating and fits into mot cup holders and bicycle botte racks. If she’s an athlete, you simply can’t go wrong with a Hydro Flask. It’s the perfect beverage container to take from the gym to the office no matter what the weather. She can throw away the old baggy t-shirts and sweaty shorts. Now, active wear has become stylish and fun, which is major motivation to show off at the gym! A variety of both luxury and affordable brands offer fun and flattering wear for any kind of workout. Browse the selection of yoga leggings in a vast array or colors, patterns and styles. Get her a trendy sports bra and a breathable tank top to complete the look. Suiting up for the spin studio has never been more exciting! Athletic socks are practical no matter which sport or exercise she prefers. 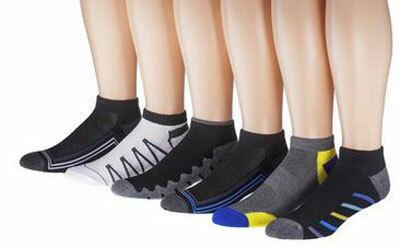 Believe it or not, there are different performance sock styles for different athletes. Some socks are extra snug to provide support to the arch and ankle, while other provide specific padding to the heel, ball or toes of the foot. Some are extra thin and light, while others are heavier for colder weather. Yoga socks have built in grip so she can maintain her posture on the slippery ground. Create goodies basket for her birthday and include performance socks to give her exercise that extra boost. If she’s involved in a sport, her gear will wear out. To wow her on her special day, inquire if she needs any new gear. If she’s a soccer player, she may have had her eye on new cleats or shin guards. Or, maybe her bat is busted and you can get her new fastpitch softball bats on this website. Buying all the required equipment can be expensive, so she’ll be grateful if you pitch in.